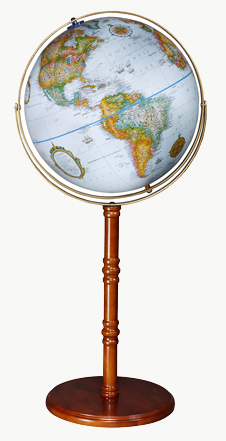 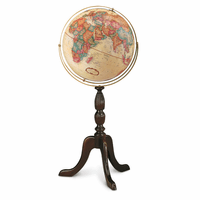 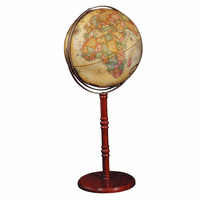 Display the Ediburgh globe as a table globe or leave it on the floor stand, creating just the look you want in your home or office space. 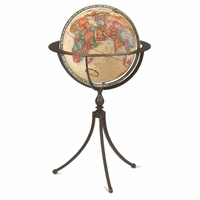 The 16' diameter globe has a blue ocean background and raised relief topography. 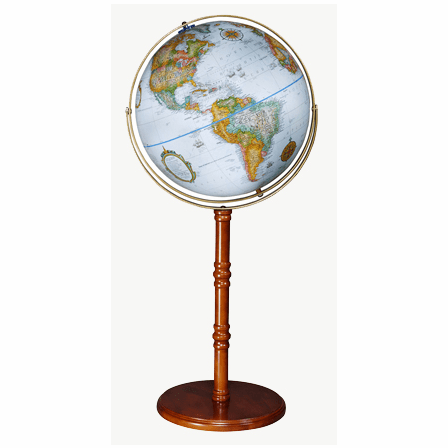 The floor stand and base are rosewood-finished hardwood, cut in a traditional carved design, and holds the gyro-matic meridian that surrounds the globe. 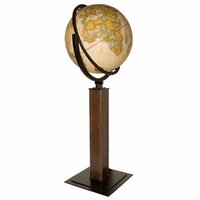 The total dimensions are 18' x 16' x 38', sized to create a stunning, unique accent for any room.